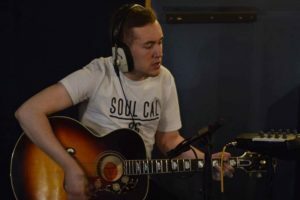 A Wirral singer-songwriter has been offered a chance-of-a-lifetime trip to America, but he needs donations to help him get to the States. Cal Ruddy was approached to represent Liverpool by performing at the San Diego Beatles Fair, though he requires £5,000 so that someone can accompany him on his journey. The 22-year-old has Asperger Syndrome, which means he often battles with depression and anxiety. 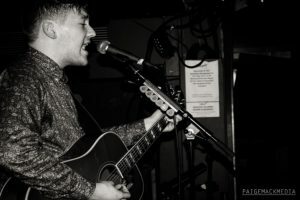 The singer told JMU Journalism: “It’s an honour to have been chosen out of the hundreds of talented musicians in Liverpool. When he was 15 he picked up a guitar and began to teach himself how to play, then he started to sing and writing songs as a coping mechanism. American music promotions company, Black Cherry Group, said they want the musician to fly out to the US to be the ambassador for Liverpool in the San Diego Beatles Fair. His time Stateside will also include a tour of some of the major cities on the west coast, including Los Angeles, Palm Springs and Las Vegas. Over the last two weeks, £1,700 has been donated from online supporters. The total of £5,000 should be met by the last week of March, just before he’s due to set off to America. He added: “Not only is this a personal dream for me. I want to make it happen to give faith to others with Asperger’s, anxiety or depression to inspire people to overcome their difficulties. “I’ve had some lovely messages of support from people online who’ve read about my campaign and I’m overwhelmed by the amount of money I’ve raised so far. Donations can be made on Cal’s GoFundMe page to help him fulfil his American Dream.